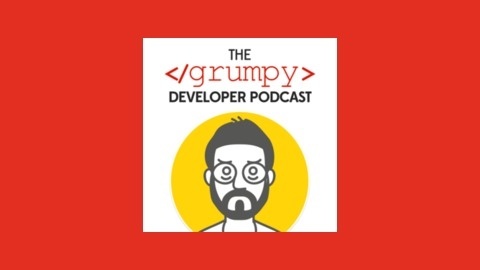 The Grumpy Developer is a podcast created for you, whether you're a web developer, graphic designer or project manager. Mike Kelly delivers 5-days a week, which is perfect if you're looking for understanding, collaboration and entertainment on your weekday commute. The web industry is experiencing a big shift with responsive web, app design, the increase in retina devices and other trends. Yet, web teams are still fighting like cats and dogs, rather than flowing forward as a team. It all comes down to understanding what the other side can do, and what just isn't possible. That's all about to change. 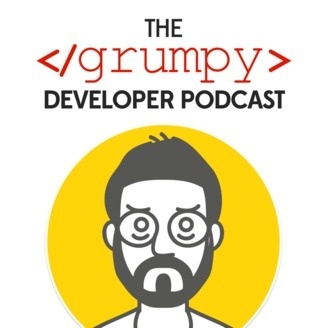 Each episode of the Grumpy Dev brings you a successful web professional, whether it's a designer, developer or project manager who shares their journey: their experiences, knowledge, gripes and much more. You can look forward to big names in the web industry; as well as, smaller fry freelancers that still have a lot of knowledge to share! iPhone6s, New Nissan Leaf and Guest Interview with Developer/Designer/Speaker Garth Braithwaite. We discuss how to be open source with design! This is a great podcast episode for all web professionals, whether you’re a developer, designer, UX or product manager. Learn more about Garth at @GarthDB and http://garthdb.com/. Also, check out the Future of Web Design conferences coming up: futureofwebdesign.com You can find me on at thegrumpydev.com and on Twitter at @grumpdevpodcast.